Great Customer Service !!! It is nice to find a company that has Integrity !!! Thank You !!! By the way....you guys are awesome at Coolcruisers. I received my order in record time and have already installed the parts - perfect fit! Thanks much. Thank you, Manny. By the way. I love the new lift. WOW! It's awesome! Great customer service!!!! Keep it up!!!!! Just installed my designer HFS lift kit and love it. Parcel arrived today thank you. 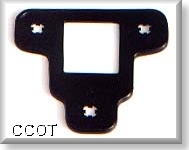 The rear door repair sections look great. Received my order in short order and it worked great..........Thanks, You guys are great. Mary package arrived today. Very pleased with the quality of the parts and the prompt delivery. Join our mailing list to receive occasional (twice a year) newsletters of sales, hot deals and new Land Cruiser products. Toyota, OEM Door Mirror Gasket. 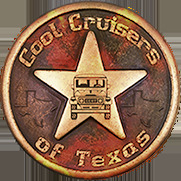 Cool Cruisers of Texas is not affiliated with Toyota Motor Corporation or Toyota Motor Sales.